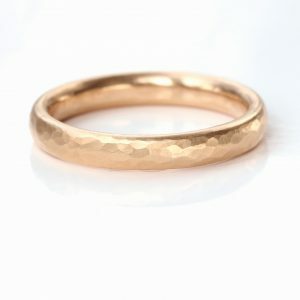 What’s the Difference Between High Street & Handmade Wedding Rings? "Not all wedding rings were created equal. 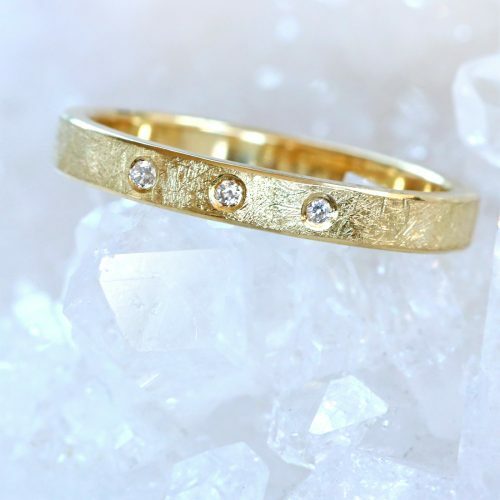 In this guide you'll learn about the key differences between artizan wedding rings and those mass produced for the High Street." 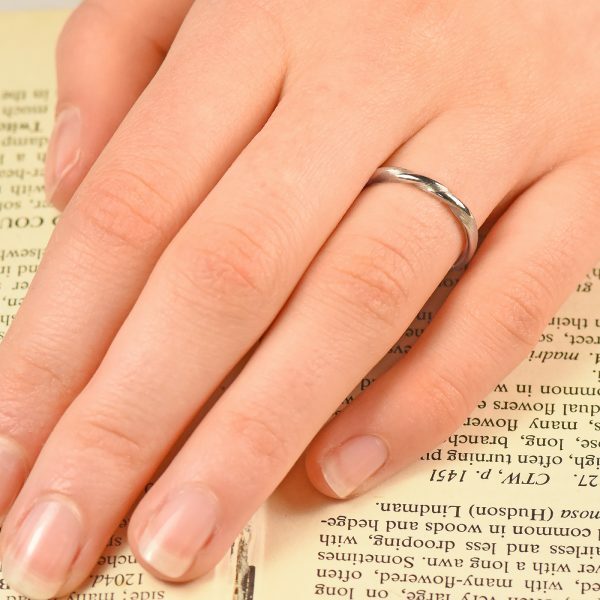 WHAT ARE THE MAIN DIFFERENCES BETWEEN WEDDING RINGS? 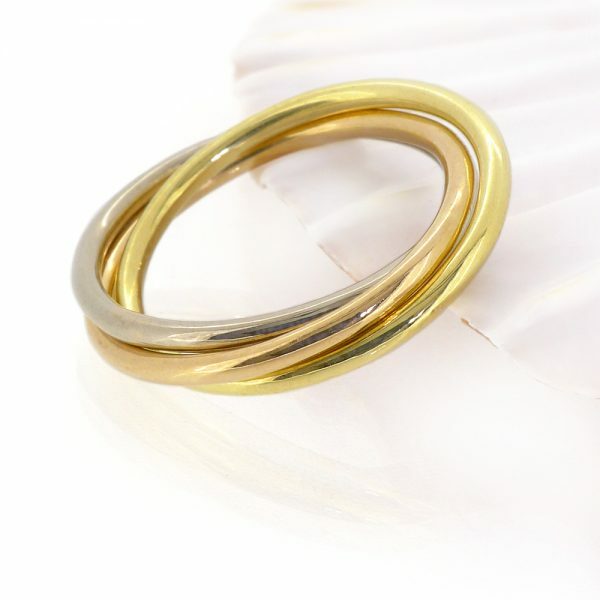 Precious metals come in different purities, with 9ct gold being a cheaper option than 18ct gold. 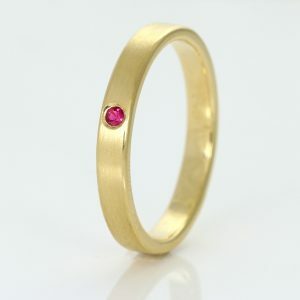 The lower the carat quality of gold, the less durable the finished jewellery tends to be. 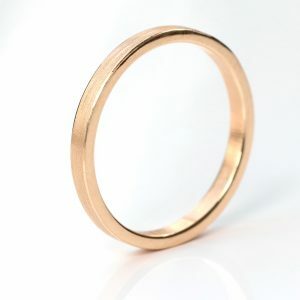 9ct gold may be the harder material, but it's this hardness that reduces durability when it comes knocks, bumps and general wear and tear. 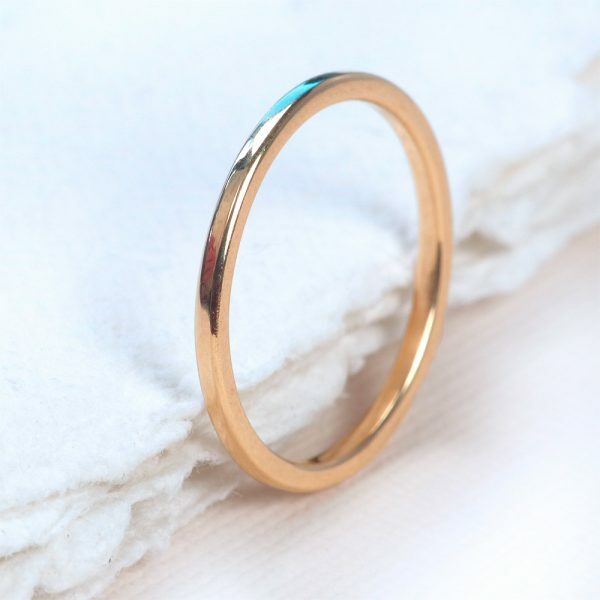 As wedding rings are worn every day, it's best to choose 18ct gold or platinum so that your ring stays looking beautiful for longer. 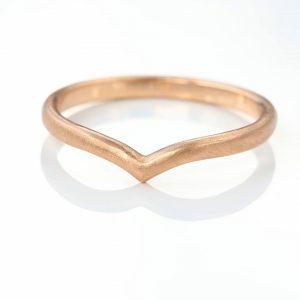 18ct yellow gold and rose gold are generally less expensive than white gold or platinum, so they are popular choices for couples shopping on a budget. Platinum is priced similarly to gold but is a heavier metal, so more grams of metal are used when making a platinum ring vs a gold one. Some mass retailers use rhodium-plated gold to create their white gold for a lesser cost. Rhodium-plated white gold should be avoided by those with metal allergies as nickel is often used to bond the plating to the gold. As the plate wears down (usually within 3 months to 3 years of wear), nickel is exposed to the skin as the original gold colour begins to show through. 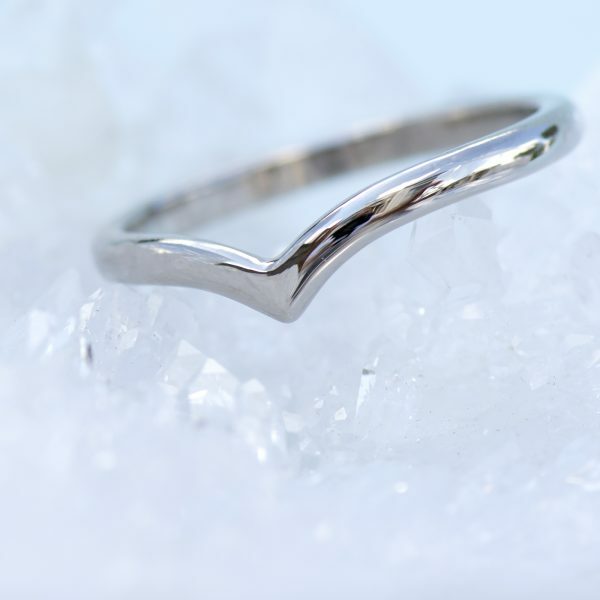 High quality white gold is mixed with palladium (a member of the platinum family) to create the white colour, making it a more costly and labour intensive gold to produce. 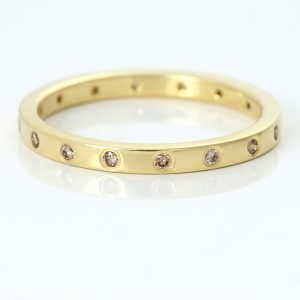 All Lilia Nash white gold rings are nickel free and are made with mixed palladium 18ct gold. 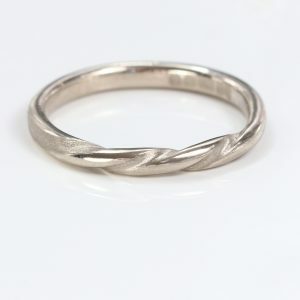 Wedding rings are available in a variety of styles, each requiring different quantities of metal to create. 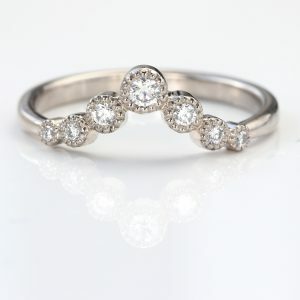 A comfort fit or court shaped ring is oval in profile and a D-shaped is half-round in profile. These profiles use less metal than a round profile (or halo) ring, so it'll generally cost less. 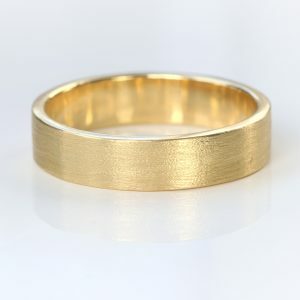 Band width and depth also play a part in the cost of a wedding ring, the slimmer the band is - the less expensive the ring will be. 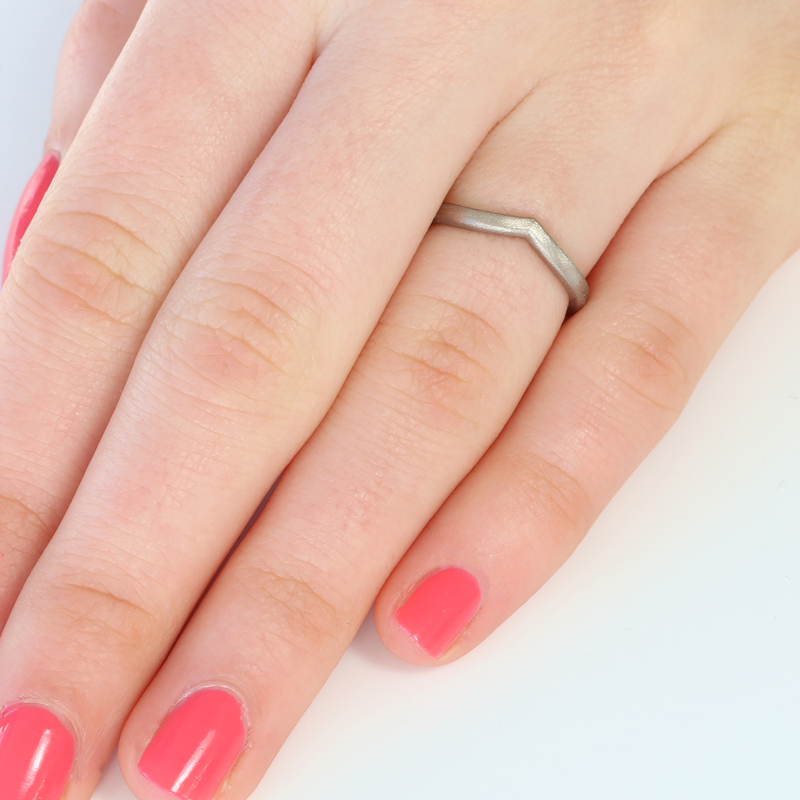 If you like the look of a ring but the price is a little out of budget, opt for a slimmer width and depth of ring. 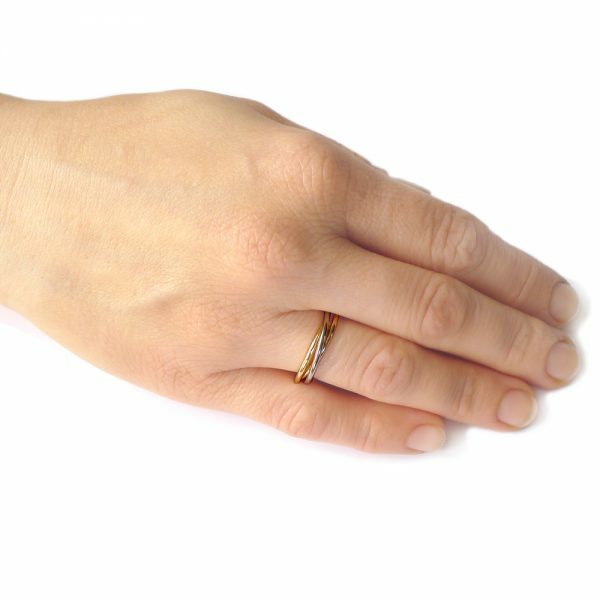 Lilia Nash wedding rings are individually handmade using a single piece of gold, silver or platinum and traditional jewellery making tools. Most High Street jewellers sell cast rings using melted metal that's poured into a mould/mold and left to cool. 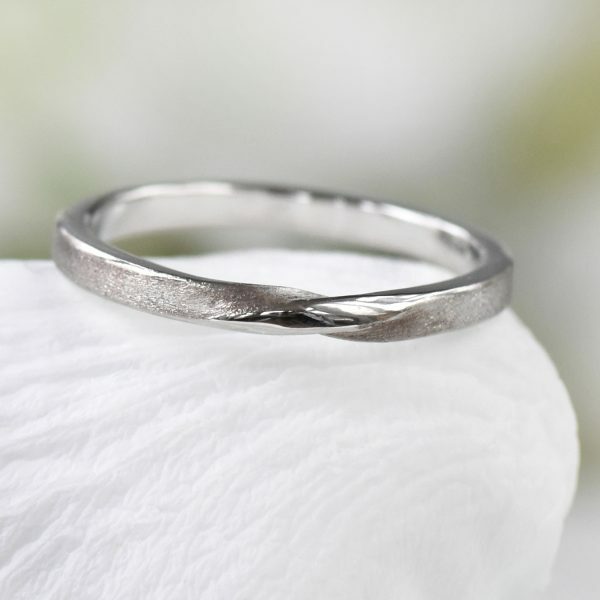 Cast rings are less environmentally friendly than handmade rings as they require individual casts to made for different designs and sizes - that creates a lot of extra waste in the manufacturing process. Once the ring design is no longer made, the casts need to be disposed of. 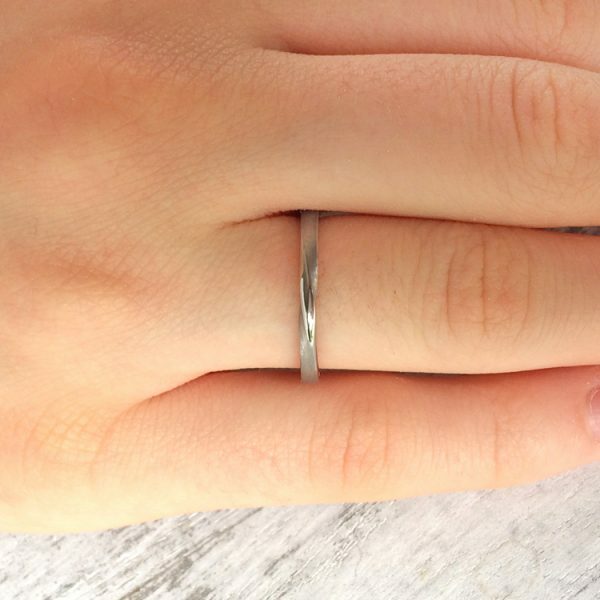 Many rings available on the High Street aren't made from solid precious metals - they're cast in a way that leaves the inside of the ring hollow (hollow ware), or are filled with a cheaper metal to provide a heavier feel (gold-filled rings). 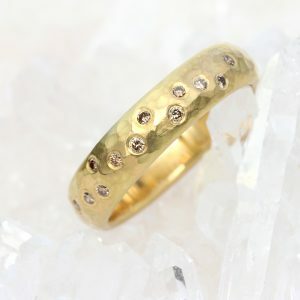 Lilia Nash wedding rings are all made using solid golds, silver or platinum. 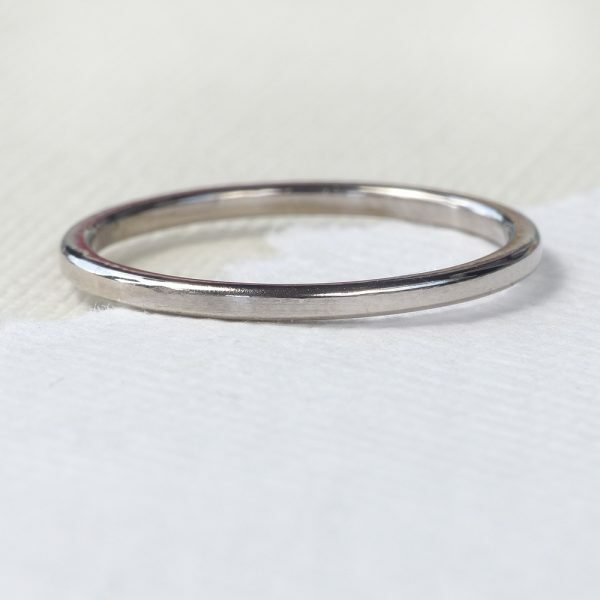 Solid rings are more durable, have a higher metal value and retain their value better than cheaper alternatives. 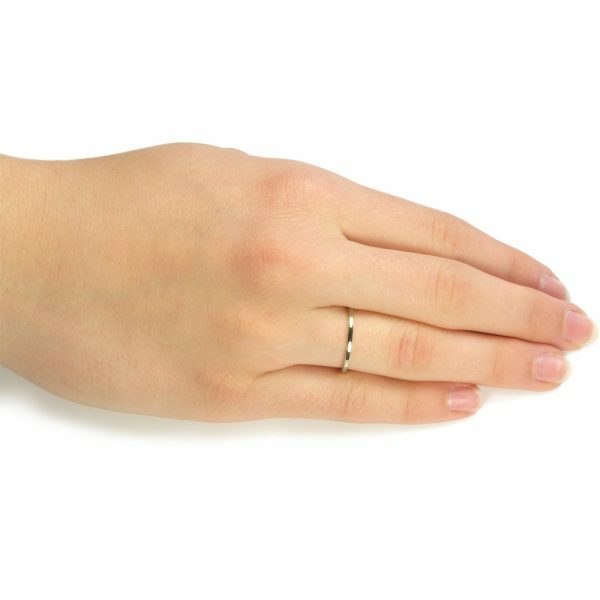 All Lilia Nash wedding rings are made in the UK, using reclaimed Sterling silver, 18ct gold, white gold, rose gold or platinum. These precious metals are exactly the same quality and have the same per gram value as mined metals, but they're much kinder to the planet. 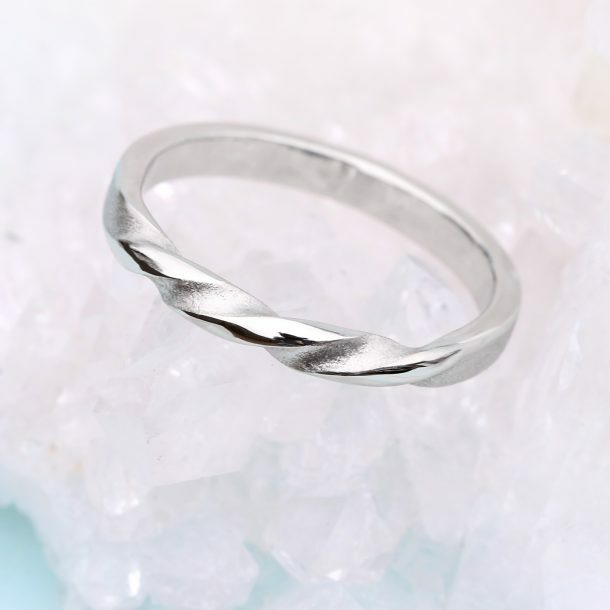 Because recycled metals are purchased ethically in smaller quantities, they tend to be a little more expensive than non fair trade alternatives from mines. Many people choose to buy wedding rings featuring diamonds or other sparkling gemstones, and the cheapest are often purchased from mines that pay workers very little or have unsafe conditions. Ethical and fair trade diamonds or gemstones are more expensive, but they come with the assurance that everyone in the supply chain was paid a fair price, including the workers who mined them. If you want to save money on ethical gems, lab-grown stones are a fantastic alternative. They have the same chemical composition as natural stones and look just like the natural gems.